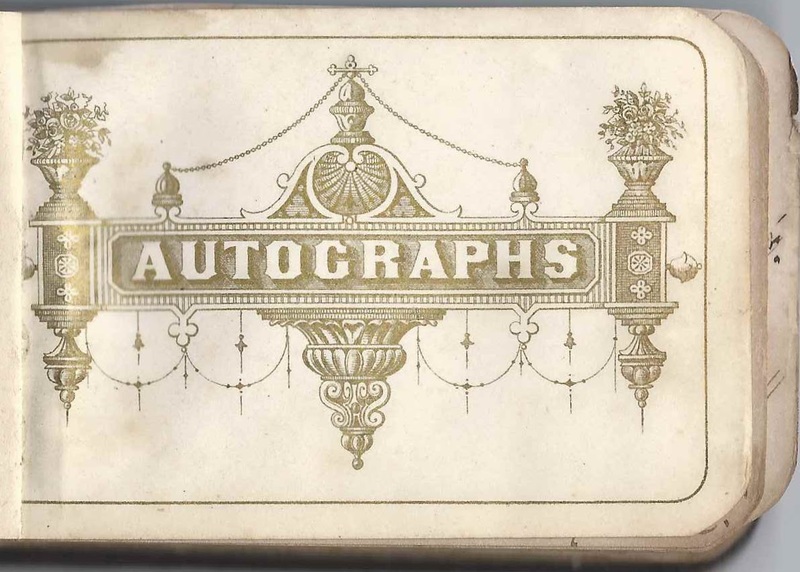 1878-1882 autograph album that was a Christmas present to Julia Brown of Maitland, Nova Scotia, given by her sister Maria in 1878. 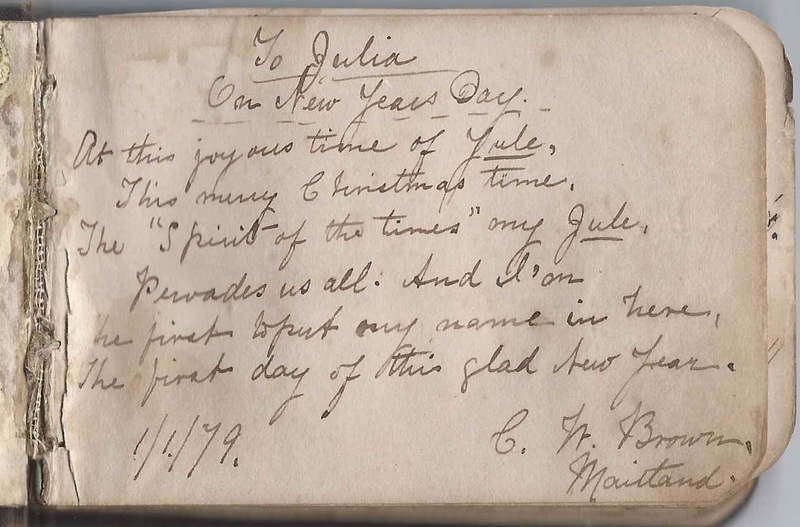 The album is approximately 4" x 2-3/4", and a bit thicker than the norm; it contains the sentiments of over 60 of Julia's relatives, friends and schoolmates. An alphabetical list of the signers appears at the end of this post. Julia Brown was born 3 June 1867 at Maitland, Nova Scotia, the daughter of Dr. Samuel Dennison Brown and Annie (Dickie) Brown. 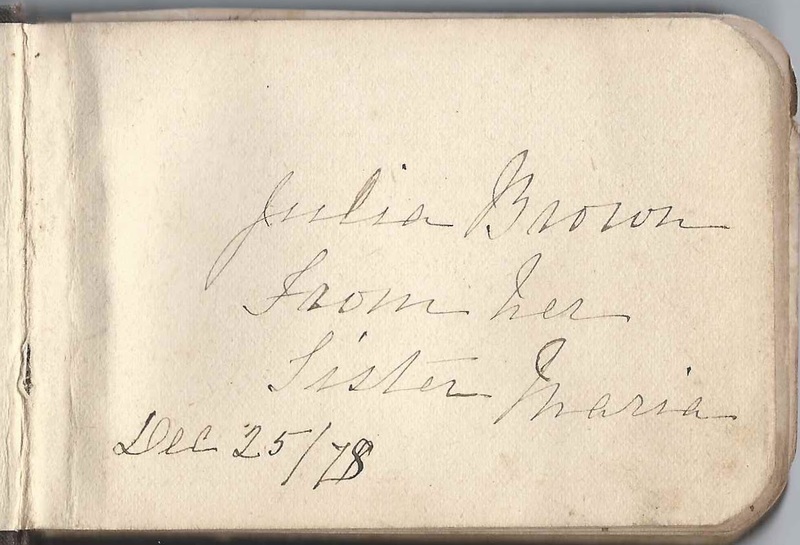 A Julia Brown of Maitland, Nova Scotia, signed a page in the album, toward the back, but I can't be sure she was the album owner or a relative. Julia's father, Dr. Samuel Dennison Brown was quite a character, as described on this website with the history of Maitland; scroll nearly to the end for a paragraph entitled "Village Doctors". 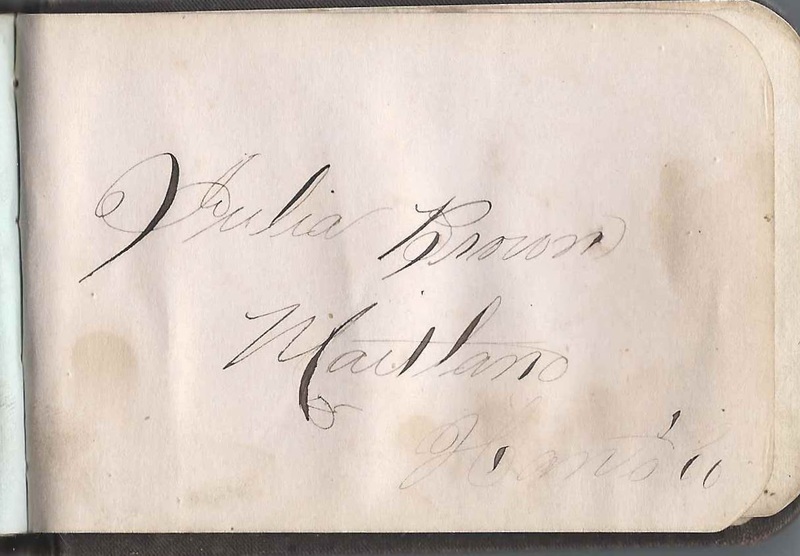 The C. W. Brown of Maitland, Nova Scotia, who signed a page on January 1, 1879 was presumably Julia's older brother Charles Whidden Brown. "Rye", who called herself Julia's "sister", signed a page at ? St. Vincent, on July 19, 1880. I don't know if she was Julia's sister, sister-in-law, religious sister or social sister. 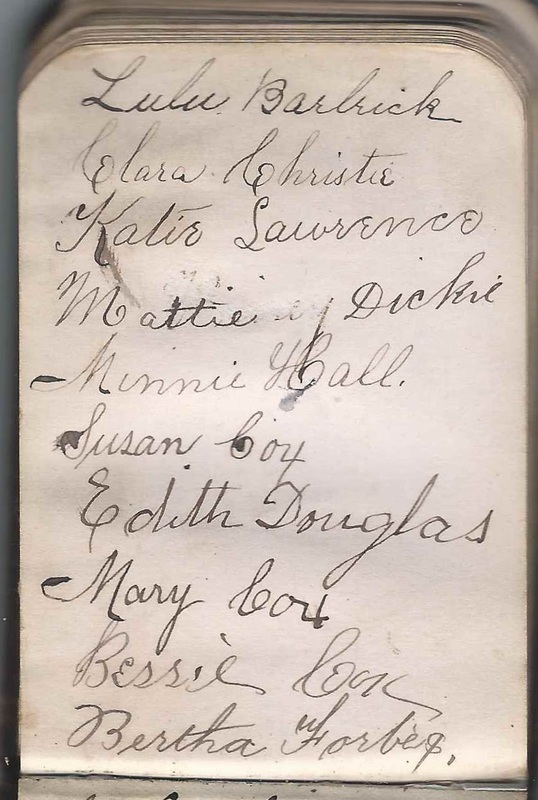 Other relatives signed pages in the album; see the list below. I don't believe Julia ever married. She died in 1942 at Maitland, Nova Scotia. Two pages list the names of, presumably, Julia's close friends and/or schoolmates. The top page has the names: Lulu Barbrick; Clara Christie; Katie Lawrence; Mattie Dickie; Minnie Hall; Susan Cox; Edith Douglas; May Cox; Bessie Cox; and Bertha Forbes. The bottom page lists Julia's name and that of Anna N. McCallum and Cat S. Sweet. List of signers: some were likely repeat signers [Note: given names within a specific surname may not be in alphabetical order. 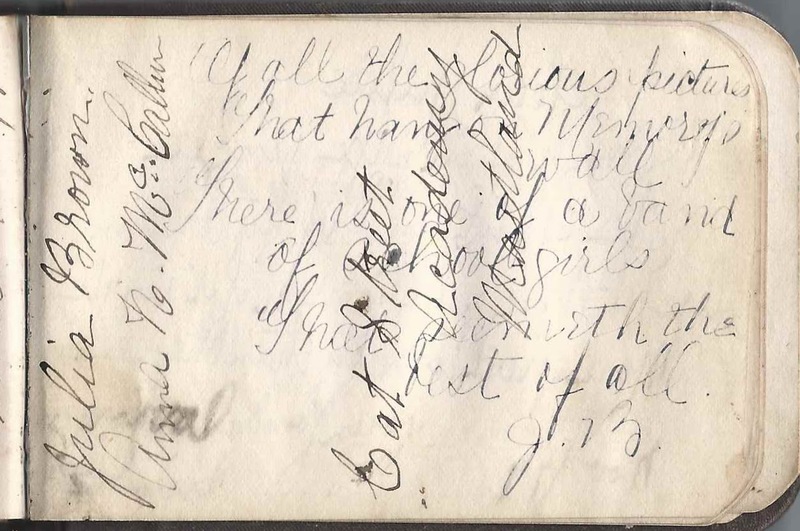 Aunt ?, possibly Aunt Emily, signed at Maitland, Nova Scotia, on June 24, 1881. She wrote over two pages and sketched a broom that she said she'd give Julia on her wedding day someday. Very faint, but appears to indicate that Miss ? [surname possibly Alice Brown], daughter of Fred B., Esq., and ? Weatherby, Esq. were married. Julia Brown of Maitland, Nova Scotia. 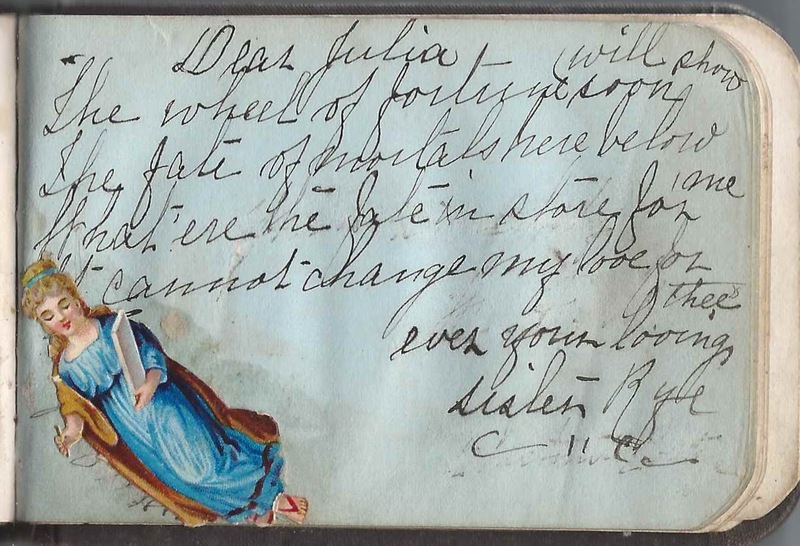 The album was given to her at Christmas in 1878 by her sister Maria Brown. Maria Brown. 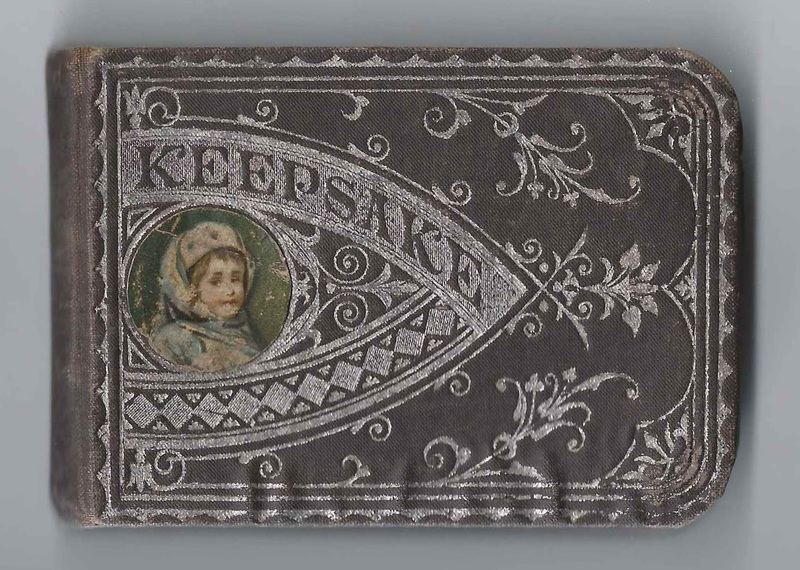 She presented the album to her sister Julia Brown at Christmas in 1878.